The depression over the southeast Arabian Sea area is moving away from the country. Prevailing showery condition is expected to continue over the island today.Showers or thundershowers will occur over most parts of the island. 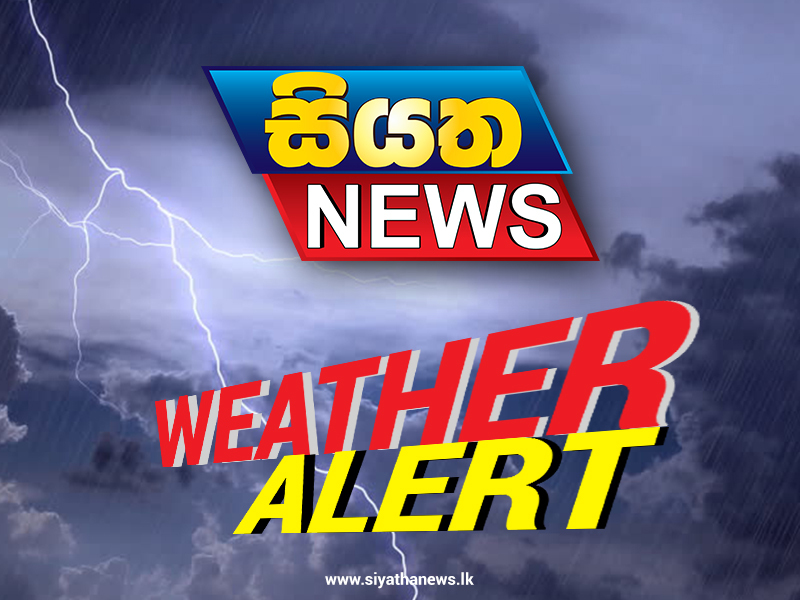 Very heavy falls about 150 mm can be expected at some places in the Southern, Central, Sabaragamuwa and Western provinces.Heavy falls above 100 mm can be expected at some places in the Eastern, North-western, North-central and Uva provinces and in Mannar district.Fairly strong gusty winds up to 40-50kmh can be expected over the Southern province and in the Rathnapura district. There may be temporary localized strong winds during thundershowers. General public is kindly requested to take adequate precautions to minimize damages caused by lightning activity. Due to a low pressure area has developed in the Arabian sea to the west of Sri Lanka, prevailing showery condition is expected to enhance over the island during today and tomorrow. Showers or thundershowers will occur at times in the most parts of the island. Very heavy falls about 150 mm can be expected at some places in the Central, Uva, Sabaragamuwa, North-western and Western provinces. Heavy falls about 100 mm can be expected at some places in the North-Central and Southern provinces and in Mannar, Vauniya districts.There may be temporary localized strong winds during thundershowers. General public is kindly requested to take adequate precautions to minimize damages caused by lightning activity.